The ride-hailing giant’s IPO papers detail the deals struck when it pulled out of cutthroat markets like China, taking stakes in homegrown rivals instead. The pacts look asymmetrical, tying up mostly Uber. As $65 bln Didi and others expand abroad, the snarl only gets worse. 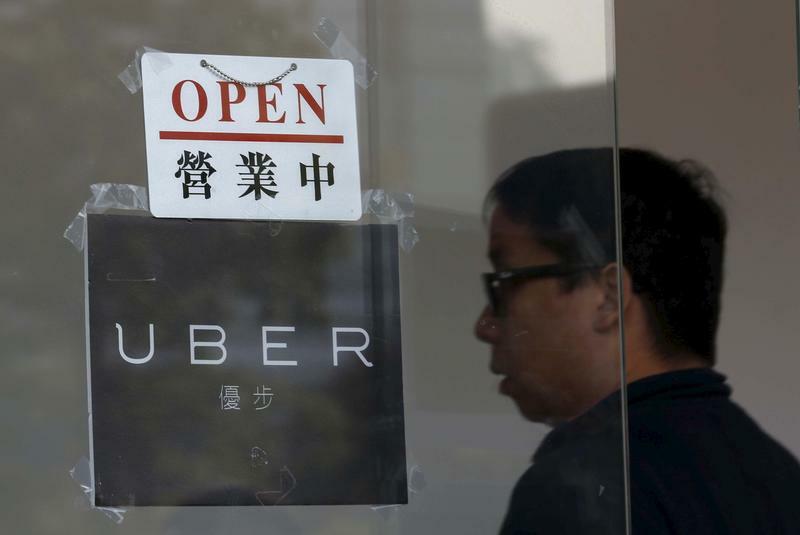 An open sign is seen at the office of taxi-hailing service Uber Inc during a driver recruitment event in Hong Kong, China December 29, 2015. Ride-hailing app Uber Technologies filed a draft prospectus with the U.S. Securities and Exchange Commission on April 11. The company set a placeholder amount of $1 billion but did not specify the size of the initial public offering. Uber plans to sell around $10 billion worth of stock at a valuation of between $90 billion and $100 billion, Reuters reported on April 10, citing sources. The company holds minority stakes in China's Didi Chuxing, Yandex.Taxi, a Russian joint venture, as well as in Grab in Southeast Asia, worth a combined $11.5 billion, according to Uber's draft prospectus. Didi was last valued at over $65 billion after a funding round in 2018, Reuters reported in February, citing sources.